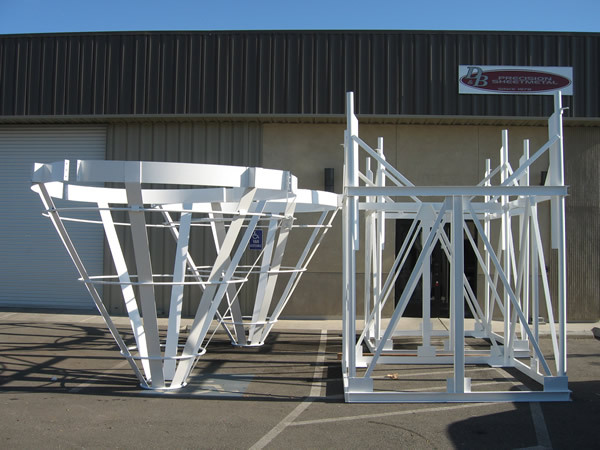 Precision frame fabrications as well as frame assemblies powder coated or painted to customer’s specifications. Hardware; latches; hinges; casters; and any other added items can be provided. 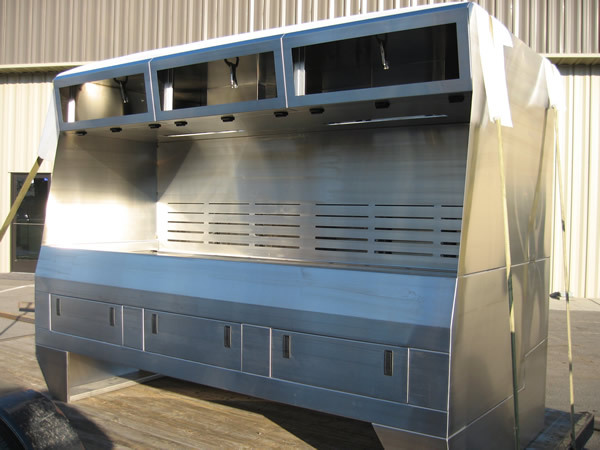 Custom stainless steel, mild steel assemblies and process equipment includes: wet process benches; chemical delivery systems; pump stations; and many other applications. 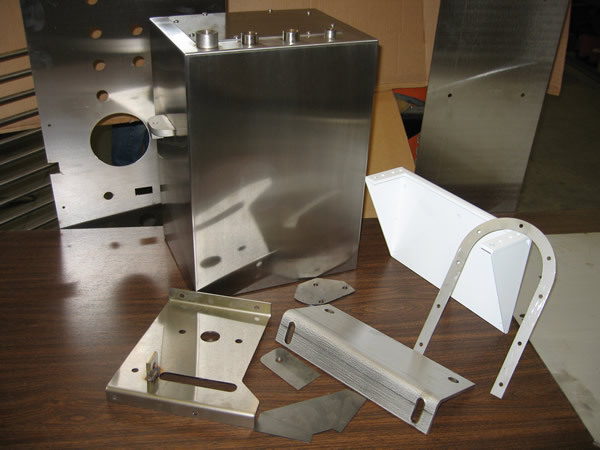 Custom fabrication and precision sheetmetal product materials range from stainless, mild steel, aluminum, titanium, and many others. Material thickness from 26 ga to ½” plates. Production runs are no problem for us! 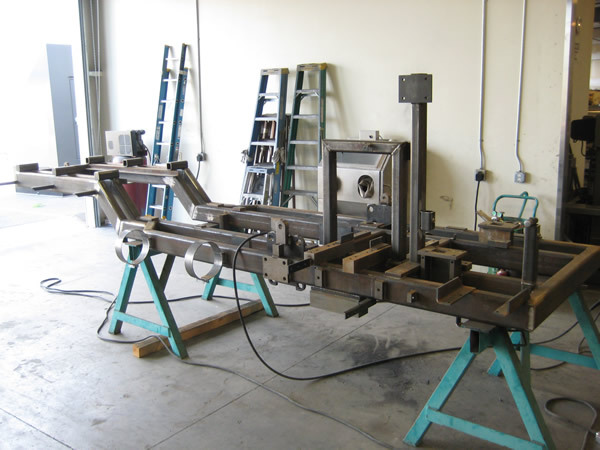 We can handle large or small production runs to meet any demand. D & B Precision Sheetmetal is capable of manufacturing light structural steel, mezzanines, stairs, handrails, catwalks, decks and other structural metal applications. 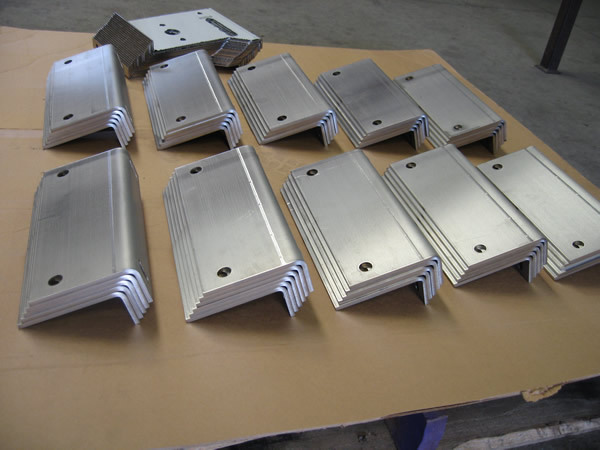 Our Company also specializes in food processing equipment and fabrications. 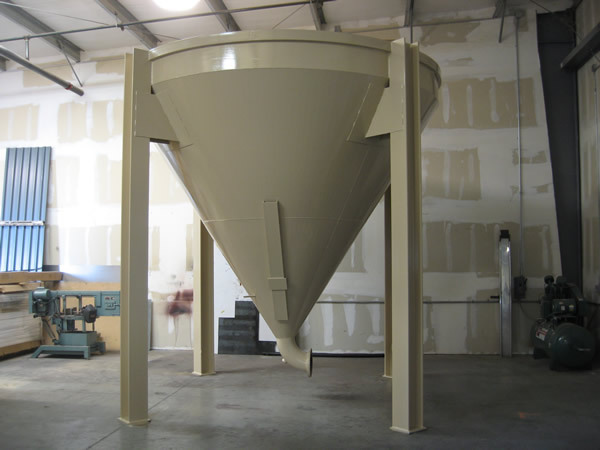 Hoppers; shakers; conveyors; elevators; labeling equipment and many others. 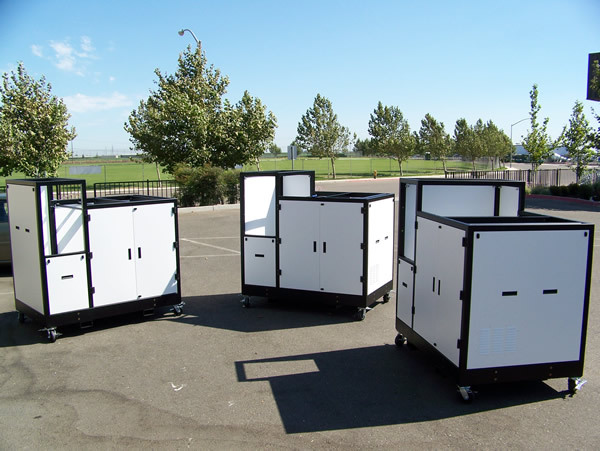 We can also fabricate and install your products as we are a California Licensed Contractor for installation and onsite field fabrications.